Ken Beresford, Jack & Janet Barber, David Finney, Keith & Pam Gracie, Peter & Diane Leopard, Barry Lincoln, Mrs P. Linnell, Barbara Hall-Petite, Maggie & Murrey Preston, Organ Promotions, Graham Russell, Mr P. T. & Mrs F. Stubbs, Alastair F. Sutton & numerous other Festival Friends who did not wish to be acknowledged on this website. Stoke-on-Trent Festival Limited is a registered charity. The information contained on this website was correct at the time of publishing. 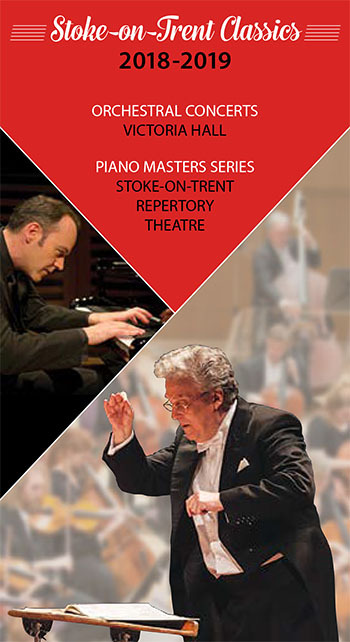 Stoke-on-Trent Festival Limited, however, reserve the right to change programmes, artists and venue without prior notice.